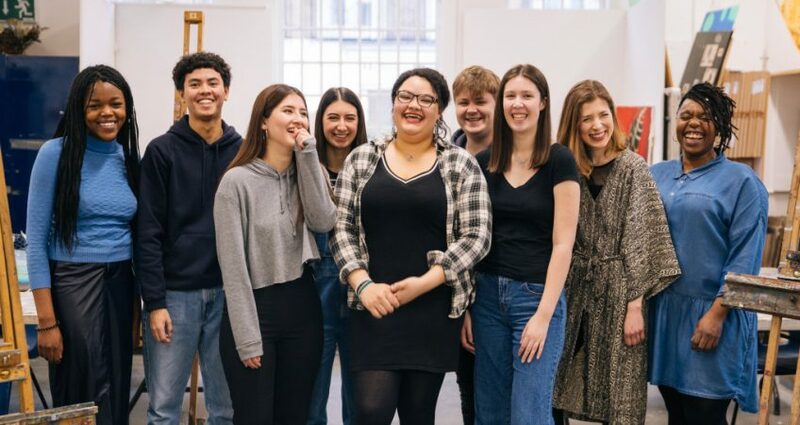 The Ideas Foundation have been working with students, schools and agencies since the year 2000 – injecting fresh blood into the creative world. Some further information about this invigorating project – and client. @mounsey was approached by Lydia Thornley (of Lydia Thornley Design), who had by then already been assigned with a key role in leading the Creative Direction of the all-new Website. The time frame for development & completion was short, with a key launch event already booked in at The House of Lords, no less – for a fixed date in May, 2018..
Time was certainly of the essence! Following a couple of extremely useful video conferencing sessions with Lydia and highly experienced marketing expert Chris Harris (acting as co-lead on the project direction/management side of things), I quickly sought to make strides with what was to be a challenging development process. By the time I came on board, WordPress had already been selected as the most effective solution for the new Website, so my expertise in working on the platform stood me in good stead for the work that lay ahead. This particular project was a great example of where a well organised planning process (notably some excellent layout visuals produced by Lydia, followed by feedback from the IF Board) – along with decisive decision-making along the way helpful massively with the successful completion of the project. Speaking of which, the Website was given a soft-launch (as planned) a few days prior to the official launch event at The House of Lords – and feedback from staff and visitors thus far has been universally positive. With this firm foundation of a new, responsive and purposefully easy-to-use Site in place, I’m looking forward to further developments on the project in due course – some of which are already firmly in the pipeline. The lifespan of a Website can be hard to predict, largely due to the fast-moving nature of modern "Web" technologies. Websites by Mounsey Web Consultancy are designed to be as future-proof as possible, including support for modern smartphones & tablets as standard. Project news, SEO tips, offers and more..
Telephone enquiries & support are available at the following times. At other times please Email me for assistance. Mounsey Web Consultancy is a Sheffield-based Website design & eCommerce business, founded and run by experienced digital marketing expert John Mounsey.